It was a great day of action and a chance for Next Sports Phenom to eyeball some of the up and coming talent from the DMV and surrounding area. The "Shot Doc" Keith Veney along with Darren McLinton (both former professional players) were the lead trainers for the day and ran the group of about 40 middle school kids through entertaining sessions of drill and instructional work. 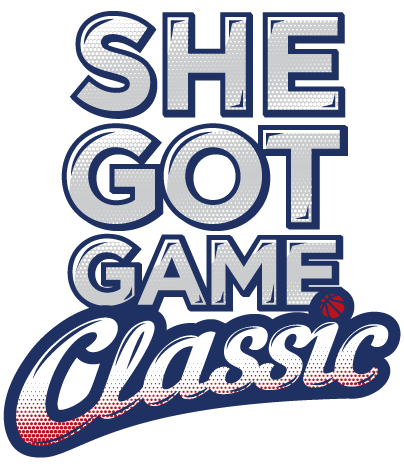 The 2nd She Got Game Middle School Combine is the younger sibling of the annual She Got Game Classic that has brought in hundreds of high school teams and college coaches to the DMV over the past 9 years. The combine allowed kids to not only showcase their skills, but to get better in a setting that they felt comfortable to learn in. 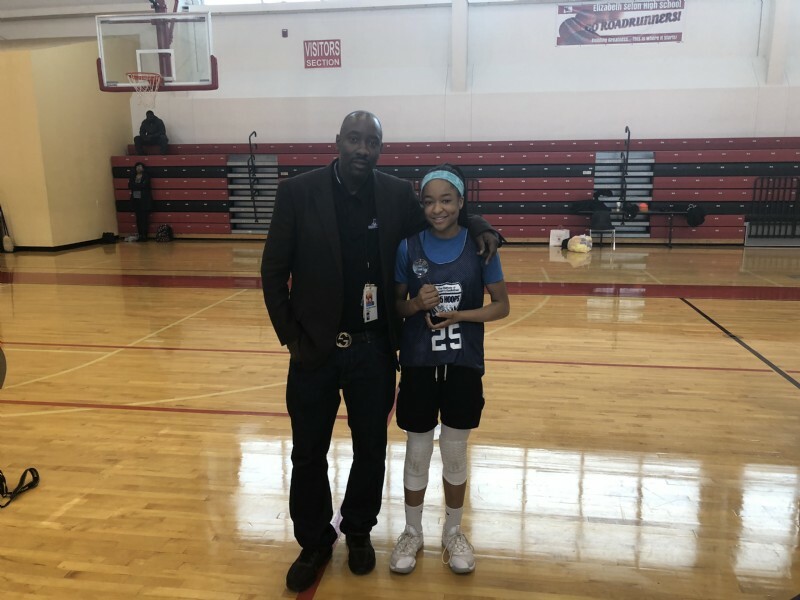 The event which took place at Elizabeth Seton High School in Bladensburg, MD, there were many players that were able to stand out for various reasons and some players found it to be a big adjustment playing showcase style as opposed to on a set team. At the end of the day each player had fun and got better. Next Sports Phenom would like to take this opportunity to mention a few and list his All-Combine Team. Angela was solid all around from start to finish. She continued to play at a high level at the end of the combine when most players started to fatigue. Her perseverance earned her the Most Outstanding Player Award. Marion was solid at both guard positions and excelled in drills. She should do well in high school. Amaya was one of the best all around players in the combine. She attacks the basket well and as her shot becomes consistent she will be pretty much unstoppable in the open court. Abby is a pure point guard with a pure outside shot. She excelled in all of the drill work and made her teammates better as she balanced her shots and passes. Very unselfish player that can score whenever needed. Cori attacks well in transition and has a good shot. She's a good finisher than can score from different areas on the floor. Amber showed great skill in the drill work even as it got progressively harder. Despite being one of the smallest players in the building she consistently was able to score and rebound in traffic. McKenzie simply works harder than most of the players on the court and is able to make plays with her hustle. She seems to want it more than most players, very active without the ball. Kendall is a long athletic wing was easily one of the top players in the building, possibly the top. As a 6th grader she has the frame and skill of a high schooler already. Emma has a very quick release which allows her to get off her shot with just a little separation. She was a little quiet this weekend but her talent was obvious to anyone watching. I was just as impressed with Jessica's attitude and demeaner on the court as I was with her mid range shot. Her ability to stretch the floor gives her some advantages over typical forwards that she will face. Anaiah is a strong physical player that attacks the basket hard and finishes well. She's a good passer out of the post.